Cell phone charging stations are popping up everywhere. In fact, some of London’s iconic telephone booths are being re-purposed as cell phone charging stations. 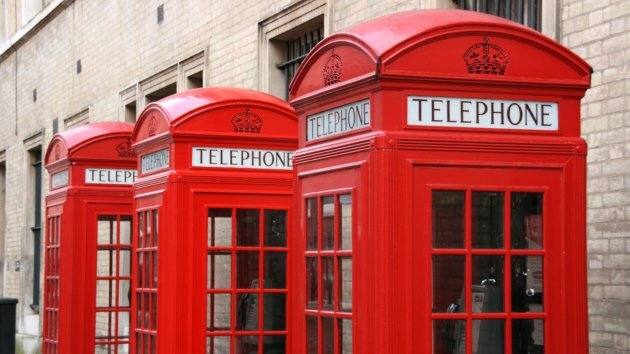 London’s world-famous red telephone booths are an aesthetic staple of the city. However, with mobile-phone use constantly increasing, traditional pay phones are fast becoming a thing of the past. The solution? Convert them to solar-powered mobile charging stations. Based on an idea by graduates of the London School of Economics, the “solarbox” made its debut recently, in London’s main shopping district. The solarbox is powered by a solar panel, and provides free charging services, offset financially by advertisements inside the booth. Boris Johnson, the Mayor of London, said that “in our modern world, where hardly any Londoner is complete without a raft of personal gizmos in hand, it’s about time our iconic boxes were updated for the 21st century.” Don’t be surprised if other cities start looking to London for inspiration. Smartphone battery life is a major problem these days, and charging stations are increasingly looking like the answer. It’s easy to imagine a not-distant future with solar charging booths on every street corner, along with charging kiosks plugged into standard outlets in malls, schools, and conference rooms around the world. London is one of the largest cities in the world which attracts millions of tourists each year. A tourists worst nightmare is having a dead cell phone! They won’t be able to take photos, look up places to eat, use a translation app ( if they speak a different language) all these things are important parts of travel that now revolve around your cell phone in 2017. With the transition from pay phone to charging station people will have less phone battery anxiety and be able to enjoy their travels more! Talk about turning lemons into lemonade! By updating the phone booths to reflect advances in technology, London ensures that they remain culturally relevant for years to come. Who knows, maybe one day the next generation will be telling their kids about the city’s famous green charging stations?